New from Neo4j engineering labs! 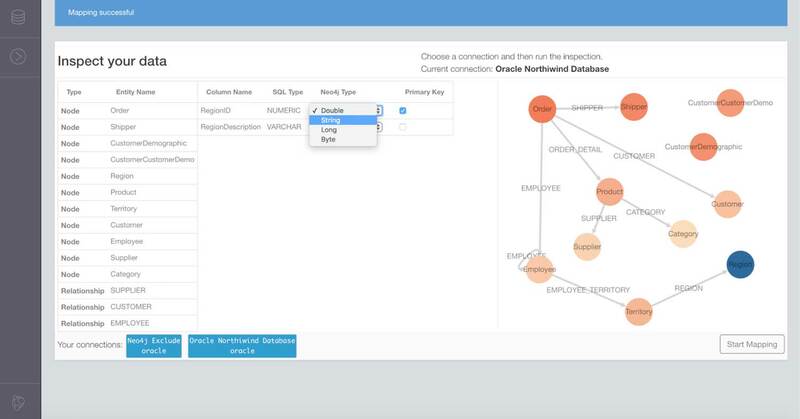 Neo4j ETL reveals data connections within tabular data stored in an RDBMS and delivers an exceptional initial and ongoing experience moving data into the Neo4j graph database. Graph connections are materialized through relational joins as data is imported and persisted permanently after import. For more information, read our ETL tool developer guide on installing and using the ETL tool and get your data into Neo4j quickly and easily! Data lakes struggle to derive value from their accumulated data, and arguments rage as to the utility of what can become an over-filled, swampy mess. While it’s easy to fill the lake, wrangling its contents, adding context and delivering it to analytical and operational use cases remains an IT challenge. Finding and utilizing the connections within that data is all but impossible. Wrangle Data: Combine data from the lake with other sources including Neo4j, wrangling it with Cypher – the SQL for graphs. Composable Cypher queries allow you to return data in an in-memory graph format using Apache Spark™, as well as in tabular or CSV formats. Perform Graph Analytics: Import data directly from the data lake into the Neo4j Graph Platform for faster and intuitive graph analytics using graph algorithms such as PageRank, community detection and path finding to discover new insights. Snapshot Graphs: The output of the Data Lake Integrator is a properly structured CSV for reconstituting Neo4j graph data. These files can be saved as snapshots, versioned, diffed, reused and backed up in HDFS.